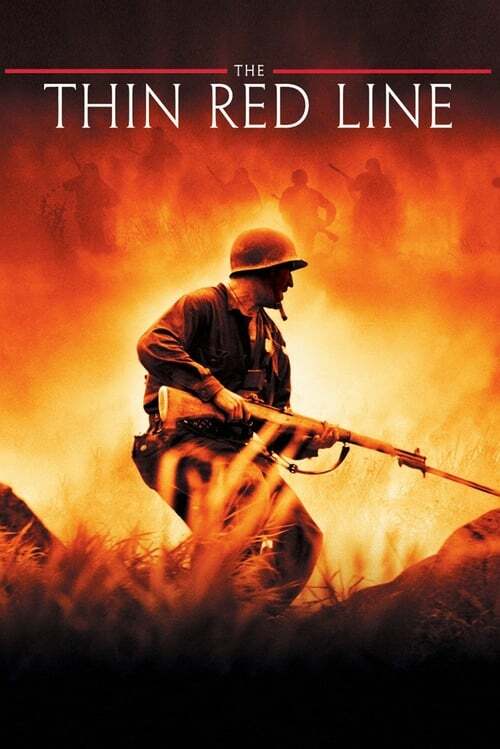 The circumstances around Terence Malick's The Thin Red Line are sometimes more talked about than the film itself. The reclusive director had made a big splash in the Seventies, but there followed two decades of silence. When he finally reappeared in 1998 to direct this adaptation of James Jones's novel about the Battle of Guadalcanal in World War II, many actors were desperate to work with him and he was able to gather a large ensemble cast. He shot over five hours of footage but had to cut it down to three, leaving out many actors entirely from the finished version. The Thin Red Line tells of the American battle against Japanese forces on the island from the landing on its beach to the time the initial troops are relieved and sail off for some new, unknown deployment. But it actually begins shortly before this when Private Witt (Jim Caviezel), who has been AWOL and living with the local Melanesian people on a nearby island, is discovered by a patrol and brought in before his sargeant. The battle itself involves the men of C Company, 1st Battalion, 27th Infantry Regiment, 25th Infantry Division: besides Caviezel as Witt, major roles are played by Sean Penn, Woody Harrelson, Adrien Brody and Ben Chaplin. Elias Koteas is Capt. Staros, who tries to look out for his men, while a hyperbolic Nick Nolte plays their commander who sees the infantry as nothing but cannon fodder to wrecklessly throw at the Japanese. For most of its 3-hour length, the men are torn apart by Japanese machine gun fire as they try to take a hill, but the enemy is never directly seen. Between scenes of great violence, there are portentous voiceovers by various characters as they meditate on what war says about the larger human drama. Eventually US forces are able to overcome Japanese positions, and the Japanese side of the offensive is depicted with more fairness and equanimity than in most American films on the Pacific Theatre of the war. While the realistic depiction of battle might touch viewers -- and its hard to knock any World War II film since they spur one to read more about this crucial event in history, this is not a great film. It has obviously been cut heavily from its original length. John C. Reilly appears several times at the centre of shots, clearly meant to be a major character, but most of his scenes and all of his back story were cut. The philosophic voiceovers come across as pretentious instead of insightful. Furthermore, I find this a very "Hollywood" film, with the acting often exaggerated. Woody Harrelson doesn't play a WWII grunt, he plays Woody Harrelson. George Clooney appears at the end and all realism goes out the window: there's no way this suave, handsome leading man has been fighting a war for some time now. Hans Zimmer's musical score too obviously pulls the audience towards prescribed emotions.